Marnie McBean is one of Canada’s most decorated Olympians, and an expert in turning potential into performance. As one of only two Canadians ever to win three Gold medals in the Summer Olympics, she is used to performing under pressure. Her 12 World and Olympic medals bear witness to this. Globally, McBean is one of only two women to have won a medal in all the Open Women boat classes; winning gold or silver medals in the single, double, pair, four, quad and eight. In 2002, the international rowing federation, FISA, recognized her outstanding career with their highest honour – the Thomas Keller Award. After a record-breaking rowing career, the Canadian Olympic Committee hired her as a Specialist in Olympic Athlete Preparation and Mentoring. She worked closely with 5 Canadian Olympic Teams, both summer and winter, as they prepared to compete and “own the podium”. Regardless of their sport, she worked to prepare them emotionally and psychologically, helping to transform their potential into reality. Her job, simply, is to ensure the highest performance possible. In total, Marnie had been to 9 Olympics as an athlete, member of the media or as a mentor. She is member, and had been a Governor, of the Canadian Sports Hall of Fame, a recipient of the Governor General’s Meritorious Service Medal and has been given the Queen’s Diamond Jubilee Medal. 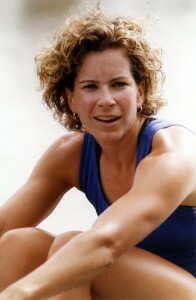 Concurrent to her Olympic career, Marnie managed to finish a degree in Kinesiology from the University of Western Ontario and had been given three honorary doctorates. She is actively involved in helping to promote the safety, health and activity of Canada’s youth as well as many sport and athlete development groups. For this, and her mentoring – she has been appointed as an Officer to the Order of Canada. In 2019, Marnie is the Honorary Team Coach with Team Canada at the Special Olympics World Summer Games in AbuDhabi. Canada will have over 100 Special Olympic Athletes who, like our generic athletes, train for and believe in high performance. They well be competing against a global field of over 7000 athletes from 170 countries. Marnie’s first book, The Power of More; How Small Steps Can Help You Achieve Big Goals continues to get reprinted.